If anything stands out to make Business VoIP the must have telephony service for your organization, then it would easily have to be the simple fact that these services are incredibly featured packed. 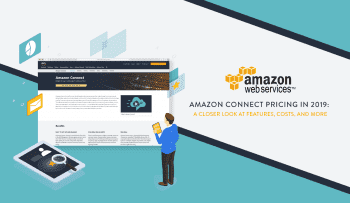 Since the service is delivered over the internet, and doesn’t require costly hardware to be installed on-premise, your business gains otherwise previously unattainable features. One of our favorite, and what we feel is one of the best Virtual PBX features available is a rather simple one: Sometimes referred to as call hunting, sometimes call routing, and sometimes find me or follow me, this basic feature allows us to always stay connected and never miss an important phone call ever again. If there is only one feature you utilize from your Business VoIP solution, this should be it. What is Find Me, or Follow Me? You could even think of find me, follow me features as like a modern-day beeper system, except far more efficient. No matter where you are at any time, this system will help to ensure you never miss a phone call again. This powerful feature allows users to route their phone calls through a set of numbers, one after the other, into the call is finally answered or reaches voicemail. Some solutions might even allow the option to ring all the numbers on your list simultaneously, which is an even more efficient way of handling incoming calls. The idea is pretty simple, you could start with your office number, but if you’re not there and can’t pick up your IP desk phone, then the call will be forwarded to your next choice, most likely your mobile number. If you’re unable to pick up your cell phone at the time, you can go even further and setup the process to call your house number for real emergencies, or just directly to voicemail. Some solutions might even allow users to input a completely different extension, to direct the call back to an operator, or a different department, or even a different agent. In fact, some solutions are so advanced that you can even route calls to a fax machine, or text message service. Combine this with voicemail to email features, in which your voicemails are automatically converted into text and sent over as emails, and you’ll have an incredibly powerful system to never miss any important details. Without going too in depth into the technical side, the basic concept itself is a fairly simple one to understand. 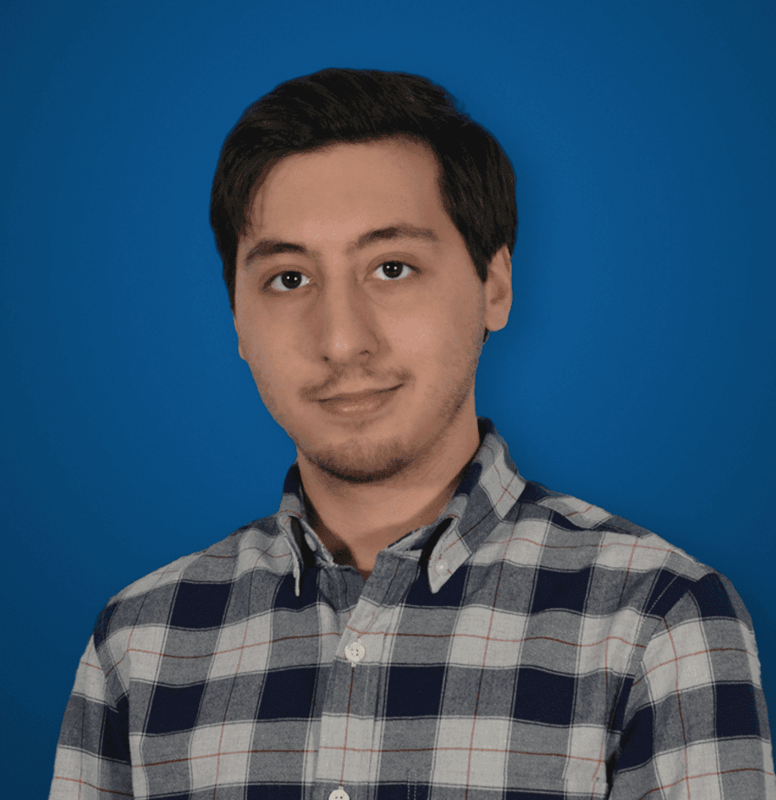 The most important thing is to recognize that Find Me, Follow Me features are not the same as basic call routing, intelligent IVR systems, or Automatic Call Distribution (ACD) systems, in which automated attendant scripting is a more important aspect. Instead, this feature is simply a “call forwarding” option as we discussed above — and setting this feature up is fairly simple. Most, if not all, Business phone systems provide users with an online portal or app. Here in this portal users can completely customize and tailor their call handling to best fit their needs. Find me, follow me features are generally provided across the market for all different vendors, and usually come standard with even the most basic VoIP plans. But honestly, we feel this feature is so useful, it would make sense to upgrade to a higher tier if your provider is hiding it behind a paywall. Sometimes during negotiations, you might even be able to have your provider throw in the feature at no extra charge, or add it on to your existing plan. But for end-users, the how is fairly simple. Log into your online portal, and there will generally be an option to simply configure this feature. You would then input different the different phone numbers you have, and set a priority list for which numbers to call in what order, or even simultaneously. The overall goal is to simply expand your availability, and keep you connected to your important calls no matter where you are in the world. This is really the concept of mobility, and mobility is quite a huge part of our lives these days. If you’re running a small business, chances are you’re hopping out of the office from time to time, or even in the Enterprise market, users will be jumping in and out of meetings constantly. Doctors, for example, might not always be available at their desk, but patients might need to reach them for emergencies at any time. In this world of constant mobility, we need a way to always stay connected and never miss those crucial phone calls. Find Me, Follow Me or Call Hunting features help us do just that – always stay connected. Of course, you might have been able to pick up on some of this already: follow me features all you to always stay connected and never miss a phone call. But this powerful tool can do a bit more than just ensure you’re always available. One of the best parts of the Find Me Follow me feature, kind of like all hosted PBX services, is how configurable the system is. Users can completely customize the process to best fit their setup. Beyond just choosing a priority list of different phone numbers, say your Office number, then your Cell, then your Home number, or even just your Department number, users can also choose to have these numbers ring simultaneously or in a specific order. You can also decide if and when the call will be directed to voicemail. Always stay connected no matter where you are, and never miss a call. 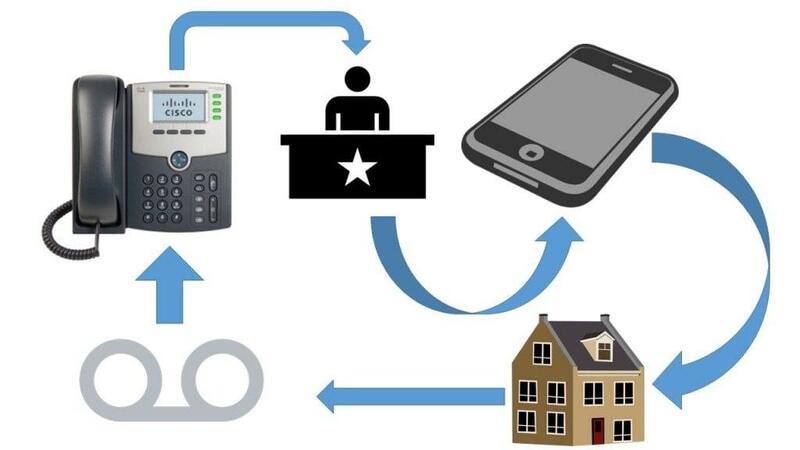 If you’re in an important meeting, and can’t answer your desk phone, it’ll be directly automatically to your cell phone, or whatever you set as your secondary line. The process will repeat depending on how you configure the feature, and if you can’t answer at all then the call can be directed to voicemail. 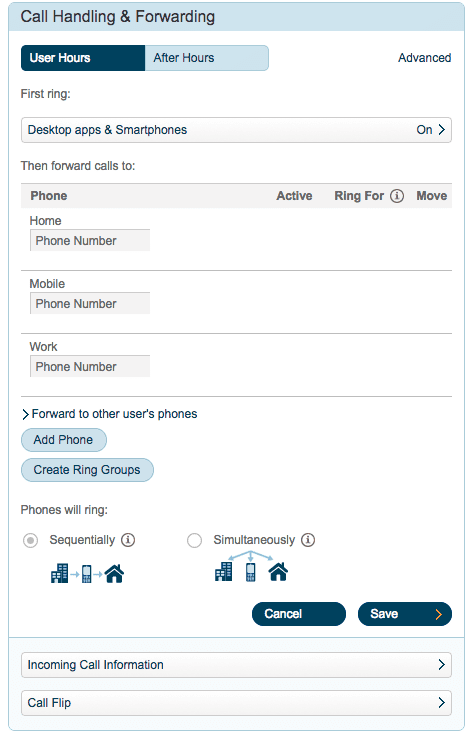 By setting up a call routing list, or having all your different numbers ring simultaneously, you can now only have to hand out one number: your primary office line. The beauty is that you can keep your cell phone number private, and still receive calls on it when you’re out of the office. 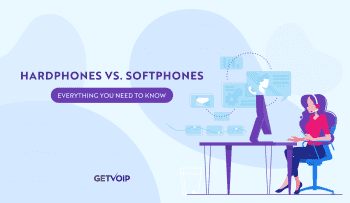 It’s your VoIP service that’s doing the forwarding, so you don’t have to hand out your personal number, yet you can still take those important calls on that phone if necessary. In conjunction with the last point, you only have to utilize one number, you can take it a step further. Some providers will allow users to setup a virtual number for their find me, follow me function. This way, you don’t need to provide your direct desk number, direct cell phone number, or direct home number at all. Simply provide clients with this virtual number, and you can still be reached at any other device you have setup to receive calls. If your clients are working with one specific agent or representative, find me, follow me features allow those clients to always reach that exact agent to receive the help they need. It can be annoying and time consuming for clients to have to explain their issues to new agents all the time, but if they can always reach the same agent that can help reduce a lot of friction. Don’t limit Find Me, Follow Me to just your phone line, allow every agent, employee or team member to utilize this amazing feature. We live in a mobile world, and people are always on the go; whether they are in meetings, or just working remotely. 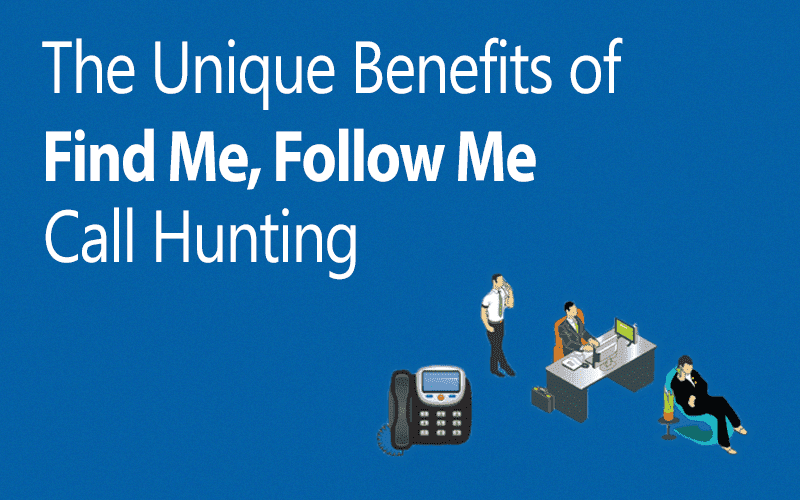 If everyone in your office is able to utilize Find Me, Follow Me call hunting, it doesn’t matter if someone is in the office or not: you’ll always receive that call no matter where you are. Embrace the mobility and shed the worry of missing calls because you’re not in the office. Our lives aren’t centered around one place anymore, so why should your business be? We live in a world where mobility is absolute key. Small business owners are usually out and about, sometimes working in the field or just not at their office. Enterprise teams can be scattered across multiple locations, running from meeting to meeting, or just rarely sitting at their desk. Smart phones and tablets have made mobility incredibly easy, and we now all have fully capable super-computers in our pockets. So, it only makes sense to completely embrace this mobility in anyway possible. Business VoIP alone helps embrace this concept mobility with soft phones and smart phone apps. But we can take it even one step further with Find Me Follow Me call hunting, always keeping business owners and entire teams connected no matter where they are. 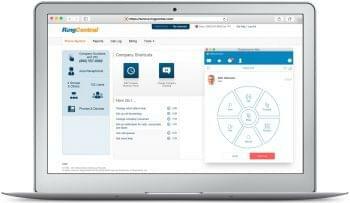 The added benefits of utilizing just one number, and keeping your private numbers, well, private — yet still taking full advantage of the fact that we all have mobile devices, make this one of the absolute best Hosted PBX features, and one that everyone should take full advantage of.